The design is professionally handpainted onto 18 mesh Zweigart mono needlepoint canvas. 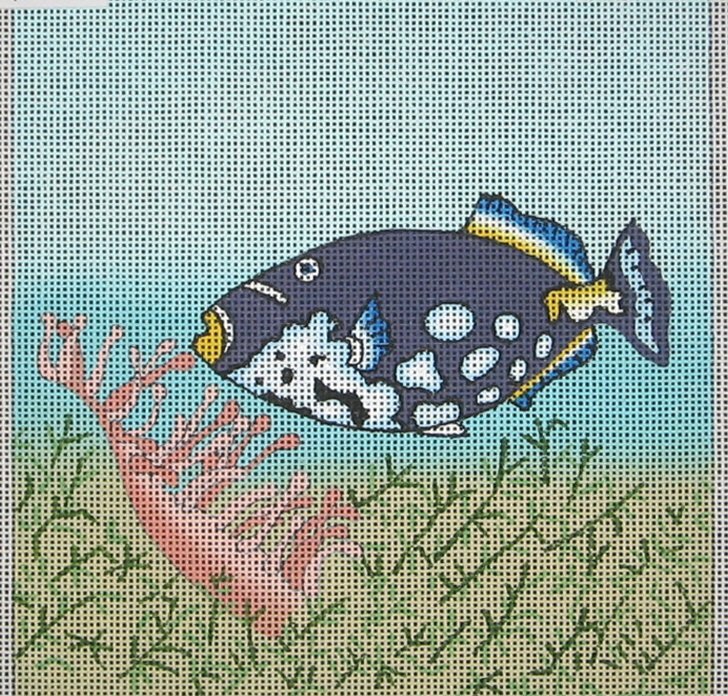 This Clown Triggerfish needlepoint design is by Kay Fox. You can purchase this design as canvas only or with threads. If you select cotton we will send DMC enbroidery floss; if you select wool we will send Bella Lusso single ply; or silk we will send Planet Earth Pepperpot needlepoint threads which are single ply for 18 mesh canvas. If you wish to discuss other thread options please contact us. This handpainted needlepoint design is classified as moderate in terms of difficulty as there is quite a bit of shading on the canvas.